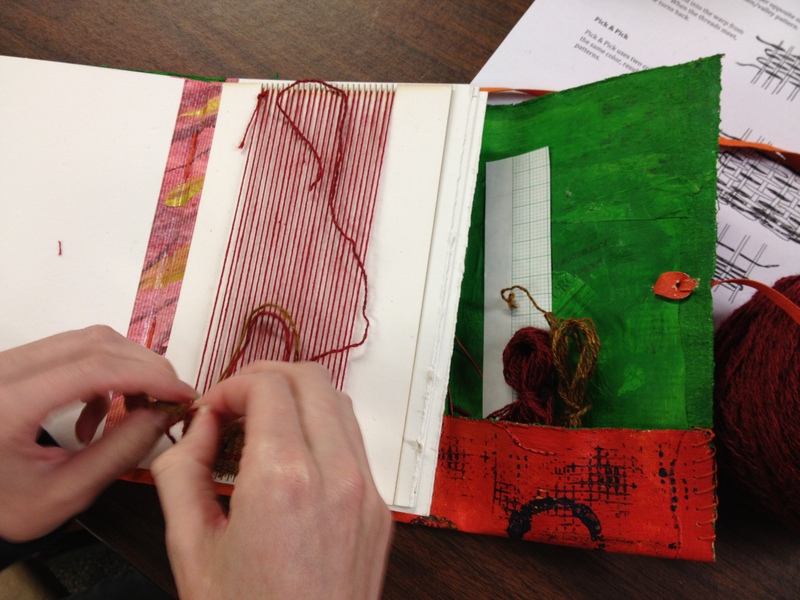 I’m co-teaching a class on making a weaving journal. Kathy Steinsberger, bookmaker extraordinaire, and I collaborated on a wrap-around book cover to hold the mat board looms. 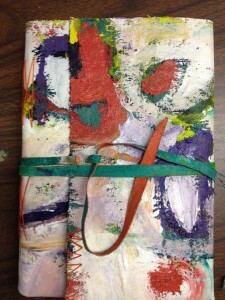 It’s made of “pleather”, a canvas that has been coated with layers of paint, and is secured with a leather-ish thong. The books turned out really beautiful. We started weaving last night, using basic tapestry techniques. Most of the group had never woven before. Once we got over the “pigtail” technique of securing the yarn, the little tapestries began to emerge. Check out a few of the samples. The journal is open to the weaving page. The book has a small pocket for storing yarns, needles, inspirational “bits”. 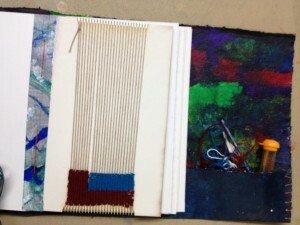 Next week, eccentric weaving!